HomeOpinionIs our midfield such a calamity after all? For the last few seasons many have begged the question “When will Sir Alex realise that Manchester United need a new midfielder”, but who are we to question the greatest manager of all time? And do we really need to delve into the transfer market? Personally, I don’t think so in the slightest. All of a sudden United look miles stronger in the particular department, whether it’s the return of the midfield maestro Paul Scholes, or Tom Cleverley breaking into the first team this year the question needs to be answered. Cleverley made an instant impact when coming on as a half time substitute in the Community Shield against Manchester City. He helped United perform a sensational comeback win in the seasons curtain raiser and made a great start against Tottenham Hotspur. The 22-year-old looked to provide a spark that had been missing from the United midfield for the previous few seasons, his creativity gave the club a great start to the season, however an ankle injury has restricted him to 7 first team appearances this season. Next on the list is the Brazilian Anderson, who had a slow start to his career at the club since his million pound move from FC Porto, but at the start of this season we saw some brilliant midfield work from him. He is renown amongst the United faithful as being a terrible distance shooter, and at the start of the season he seemed to have dramatically improved this. However, injuries have halted his development again this season and he too has only managed a handful of appearances, 10 in all. Nobody expected to see Paul Scholes’ name on the bench for the FA Cup third round tie against Manchester City, and as surprising as it was, many questioned whether Ferguson had lost the plot. Once again, the great Scot proved us all wrong. Scholes came on as a 60th minute substitute, and in a half hour he was on the pitch, managed to complete more passes than any City player had managed in the whole game. Everyone now knows Scholes isn’t the permanent answer to our midfield, but he’s doing a magnificent job and it looks like he’s never been away. Where has Michael Carrick come from all of a sudden? He seemingly has found that extra gear that everyone knows he has. His passing and movement look a lot sharper of late and this is great to see from a United fans’ point of view. Since his storming game away to Queens Park Rangers where he claimed his first goal in 78 competitive matches, Michael has done a great job of holding up play and making important tackles, whilst also helping the team going forward, like a real box-to-box midfielder. With hot prospects up and coming, fresh from our youth FA Cup win, a young and talented French midfielder has emerged – Paul Pogba. The gangly looking Frenchman hasn’t really impressed for the reserves this year but a wonderful twenty minute cameo against Stoke City changed that instantly. His movement and his ability to put a great ball into the box is what has been missing of late. I, for one would personally love to see him pen a new long-term deal at the club and really push on in the Red shirt. Who knows, next season he could really stake a claim for regular first team football. Who are we to question Fergie? The legend has been there and done it all before, and once again I firmly believe he is about to put all the doubted back in their places. Now lads, its down to you to push on and make it title number 20! 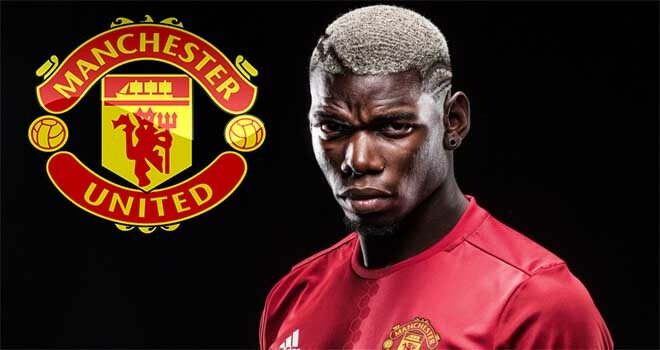 Manchester United are understood to have a made a ‘firm offer’ for Juventus midfielder, and former Old Trafford man, Paul Pogba. The news comes from journalist Duncan Castles, whilst writing for One World Sports.